I’m a little bit intimidated by emergency preparedness people. There. I said it. Now hear me out … it’s not that I don’t want to be ready for a crisis, it’s that I’ve never had a good idea how to start getting ready. The supplies overwhelm me. How much water do we need to have on hand? How much food? How many batteries—and do I really need duct tape? I have it but it’s plaid and green and my kids use it for crafts-n-stuff. The events of the past several months have caused me and my husband to shift our focus to what kinds of things we would need to have on hand if there was a disruption in everyday life. I know many of you are feeling the same way. There is a lot going on in our world. But what if you could find a way to have a little bit of peace-of-mind and know that if something does happen, you have resources to tackle the disruption or disaster at hand? My blood pressure dropped just thinking about how much calmer your kids would be if they knew that mom had it handled. Can you relate? If so—I have good news for you. I met a mom in California recently who has started a business that helps moms like me make sure their family is ready for any kind of emergency situation. Jennifer Stewart-Tai has put together backpacks with literally everything you would need in case of an emergency. Why should we be concerned? Because we need to be able to take care of our families in the event of an emergency. It can take a while to get help if first responders are overwhelmed. For example, did you know that there are only 15 first responders for every 25,000 citizens? With just 80% of American families prepared, resources will quickly be tapped out if there is a natural disaster or disruption in services and goods. So it’s up to you to have supplies for you and your family. “As a busy mom it’s difficult to find the time to research and assemble a backpack and the supplies you need in case of an emergency,” says City Girl Prepper founder Jennifer Stewart-Tai. “That’s why I started City Girl Prepper. 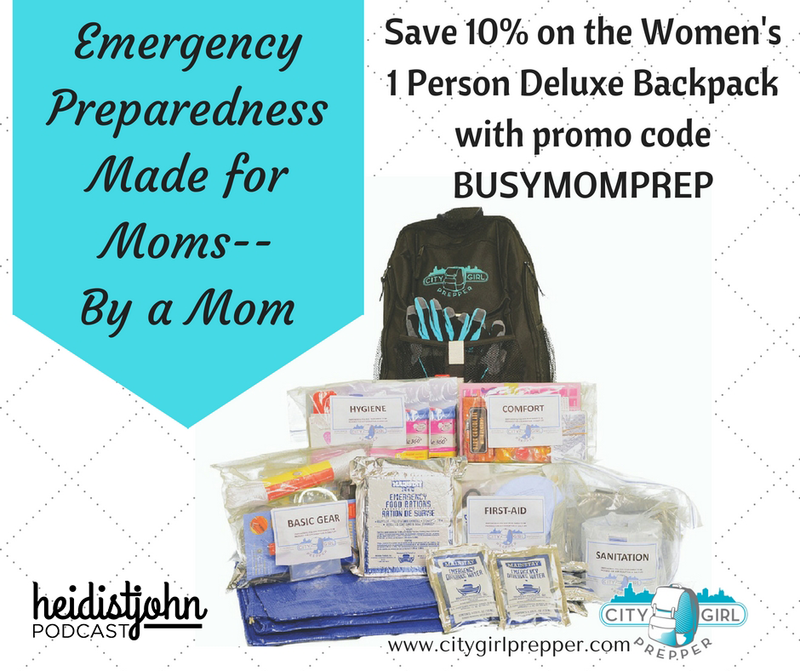 CGP focuses on making emergency backpacks for families, with a special emphasis on women. If you already have a backpack, consider this: City Girl Prepper backpacks are different because they were designed by a mom for moms. In addition to the basics, like a 3-days’ supply of food and water, it’s filled with all the extras you really want to have in case of an emergency; women’s fit work gloves, quality feminine products, fun band-aids, and of course—chocolate. You’ll gain comfort knowing that you are doing what you do best—taking care of your family. And *newsflash! * We all know that a calm mom= calm kids. But—here’s what makes City Girl Prepper even more exciting…you can get prepared and help other families do the same thing! 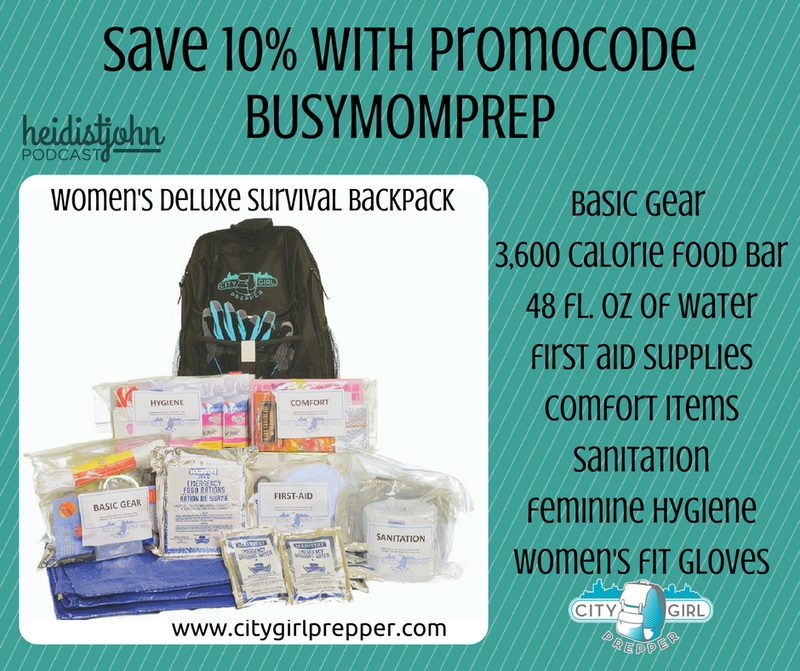 Save 10% on your City Girl Prepper purchase! Become a Preparedness Coach today! Have you ever attended a party for jewelry or candles? What about a Readiness party? 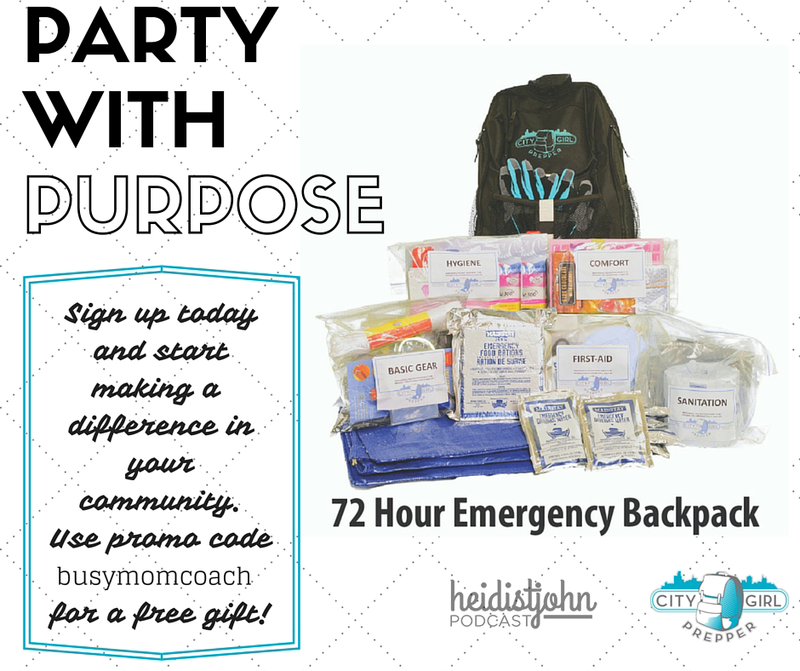 Isn’t it time for a party with a purpose? City Girl Prepper is actually a direct selling company who is recruiting founding consultants. 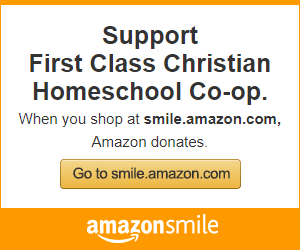 So you can get your family ready and help others too. City Girl Prepper is on a mission to inspire and create self-reliant women who are ready for anything that comes their way. It’s a big mission, and they need as many people as possible to join in and make a difference in their community. “The more prepared our community is, the stronger we all are!” says Stewart-Tai. 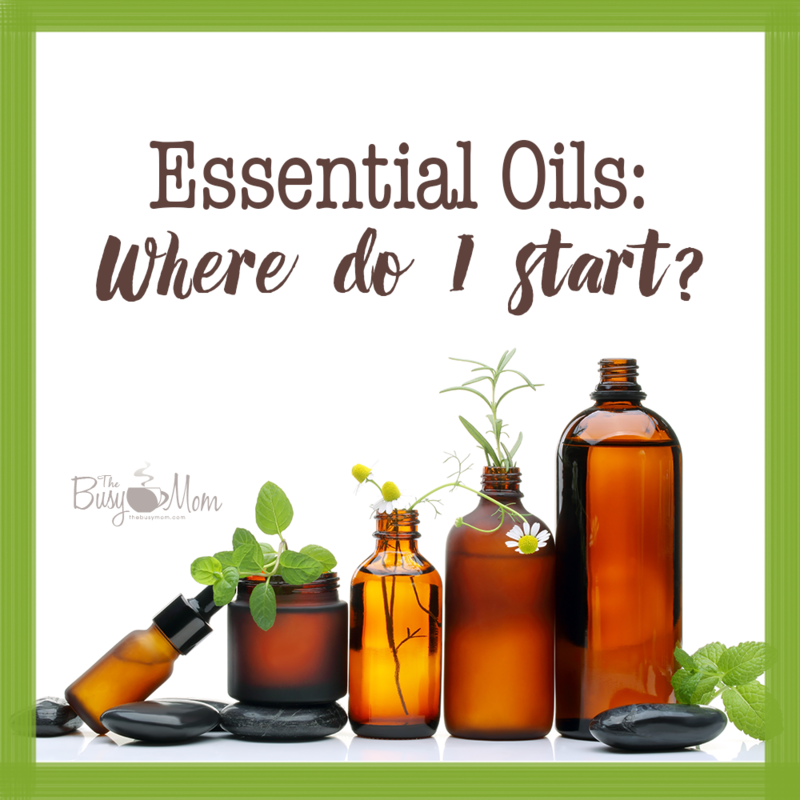 Essential Oils: Where Do I Start? Almost 2 years ago, I was home with a 5 year old, a 2.5 year old, and a 2 week old. As luck would have it with a December baby, my 2.5 year old was coming down with a nasty cold, and I was looking for anything that could help keep my 2 week old son from catching her bug. My sister was here to visit and well, let’s be honest, keep us all alive! I had heard of essential oils, but didn’t know anything about them. A few hours later, I was the proud owner of peppermint oil, a First Response oil, and some frankincense. So started my journey into learning how essential oils can be a helpful tool for my family’s health. I’m not against medications, but any time I can find a natural alternative for myself and my kids I’m so much happier to use that! Essential oils have been so useful for us! I’ll be honest, it’s a really overwhelming world to get into. Even after 2 years there is still so much I don’t know. But, I have learned a few things, and I’d love to share them with you. I have no certifications in this area, I’m no expert for sure, just a mama trying to help her family in as natural a way as is possible. Here are my 5 favorite oils and how they have helped us in case any of you are beginning to look into them and are as confused as I was. Lavender – What can I NOT do with lavender? Love this one. So gentle and versatile, it is a great one for using with kiddos* around. A swipe of lavender can change the mood around here for my fussy toddler, emotional preschooler, or hyper 6 year old. The first few months I felt so silly trying it and thinking it couldn’t possibly be working – but I can’t deny the mood change that occurs almost every time I use it! We use lavender on bee stings, bug bites, and burns for quick relief for little ones, and add it to lotion for dry itchy skin. Tea Tree (Melaleuca)- This is another incredibly versatile oil, and is used in our house on a daily basis. A drop in my face lotion helps keep my skin clear. 3-5 drops in my laundry loads, especially those loads that have been washed multiple days in a row because the next step keeps getting missed. Oh wait, does that happen in your house too? Peppermint – This oil is one to be cautious in using on little ones, but has been very helpful for me. I used it for morning sickness to help survive my first trimester, use it on the back of my neck with lavender and frankincense for headaches, and it helps clear out stuffy sinuses quickly. I’ve used it in lotion on for my back muscles that aren’t thrilled about the second trimester baby growth spurts. Lemon – I love lemon oil. Honestly, I just love the smell! I love mixing it with frankincense to freshen up the smell, as I don’t love the smell of frankincense. It’s great for adding to laundry to freshen it up. You know that lovely sticker goo you find folding a load of laundry that’s already gone through the washer and dryer? 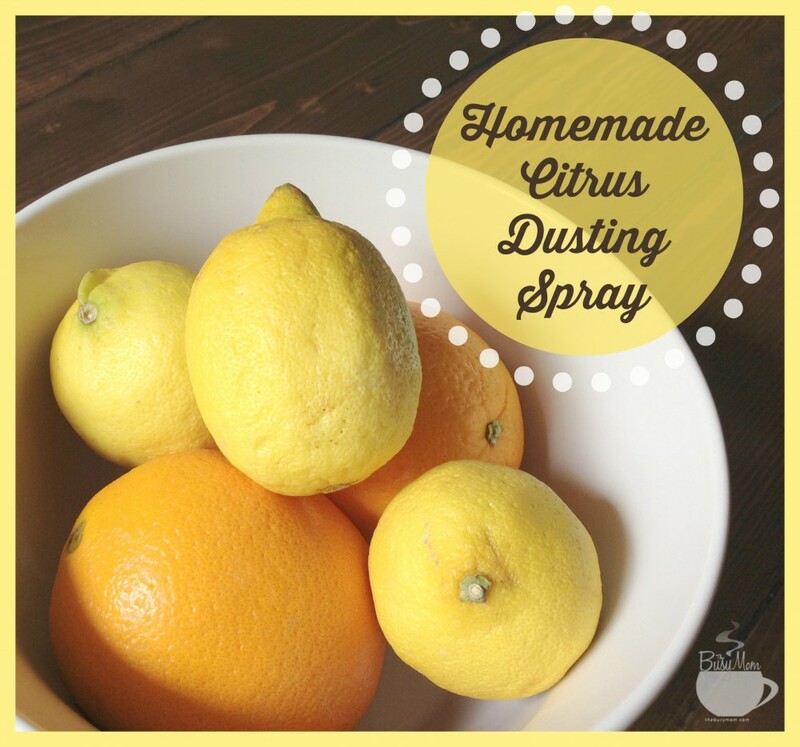 A few drops of lemon oil and it will wipe right off. Amazing right? I thought so. Gum stuck in the little girl’s hair because her brother told her he would make it pretty? Yup, takes that out too. Mixed with peppermint, it makes a great morning blend to help wake up after a sleepless night. 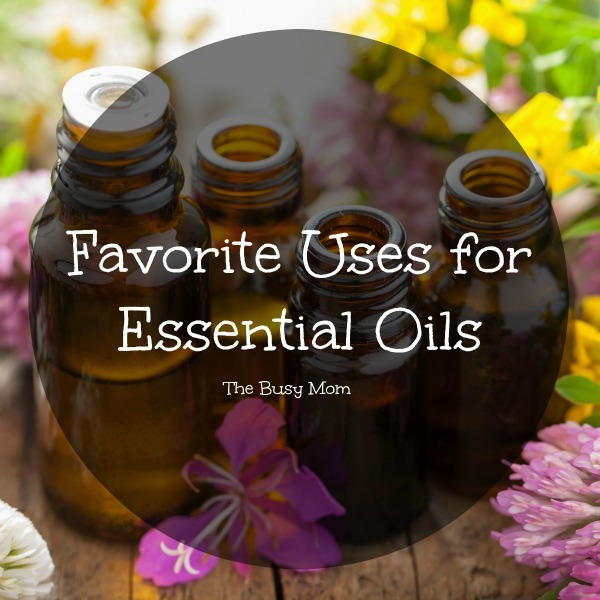 While it can certainly be an overwhelming world to get into, I have so enjoyed finding all the different ways that these oils can help our family. 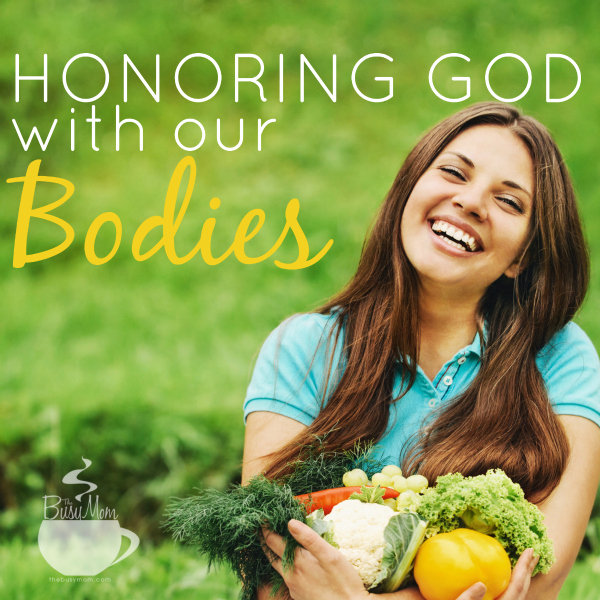 What a gift that God has created plants with properties that can help our bodies function more healthily and naturally! What is your favorite use for essential oils in your home? *Note: Not all essential oils are advised around children and babies! Please research your oils, dilute and use kid safe oils around your little ones! 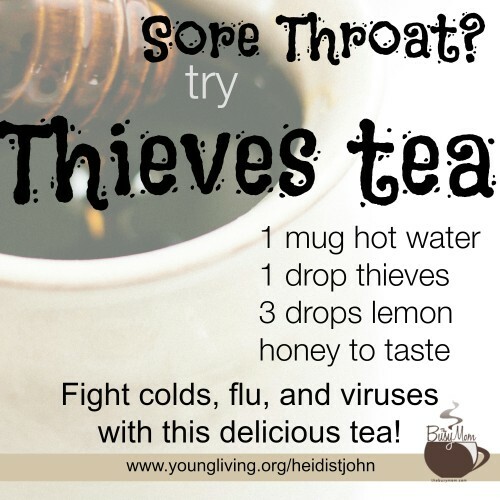 Sore Throat? Try Essential Oil Tea! I’m gonna admit to being *very* skeptical when it comes to things like this. As a mother of seven, I’ve tried it all. Antibiotics, OTC remedies, etc. Here’s the thing: Essential oils work. This is the tea I use whenever I feel the slightest twinge of a sore throat or “pressure” in my throat. It works. A few months ago, I tried this little remedy when I was scheduled to speak for a large audience. My throat hurt. I was sure I was coming down with something. Hesitantly, I drank a “tea” that my friend made me using essential oils. Within four hours, I felt 100% better. Give it a try. For more information, please visit my go-to for essential oils: Young Living. I DO NOT subscribe to the idea that inner healing comes from essential oils. 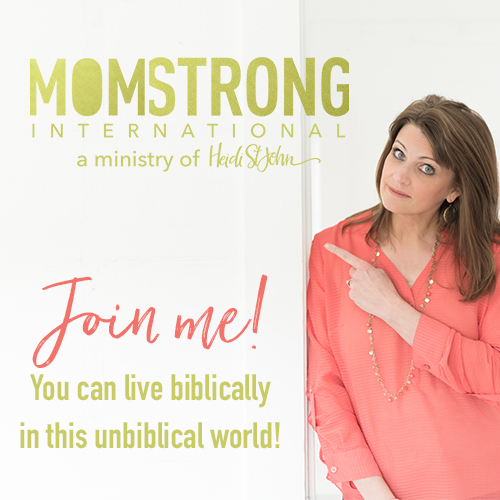 As a woman of faith, I believe (and have experienced) ultimate spiritual healing. It’s never going to be found in a bottle, no matter how cleverly named. True inner healing comes from our Creator. It only comes from a relationship with Jesus Christ. God is the Master Healer. Essential oils work in the same way modern-day medicines work—without the “modern day.” You can read about them in the Bible! In fact YL sells a set of them called 12 Oils of Ancient Scripture. After using them successfully for over two years, I decided to share what I’ve learned. I’d love it if you would purchase your oils through my link. I get a small percentage of what you purchase. I think I’ll get a latte with it… and you’ll feel a whole lot better. Essential oils work! Give them a try! It feels like just yesterday I was staring at piles of snow from our living room window. And now, we’re full speed ahead into the hot summer months! I love this time of year! I love getting outside more with my kids, playing in the pool, and curling up on the couch after a long day of fun in the sun. I thought I’d share my favorite summer must-haves in case anyone needs any inspiration! My summer hair routine consists of keeping it hydrated, and stressing it as little as possible. I have naturally curly hair, but I usually blow dry my hair. During the summer, it feels pointless to do as often because I’m always in the pool and it’s so hot outside I want to prevent excessive damage. Look for a Shampoo and Conditioner that will restore moisture to your hair. More than likely, you’ll be getting it wet in the pool or at the beach often. Both of these strip your hair of its natural oils. I go straight for products designed for dry and damaged hair. They’ve always kept my hair in its best condition throughout the summer. My favorite line to find shampoo and conditioners are Dove and Pantene. For a deep hair conditioner I recommend 10 en 1 (ideal for thicker hair or if you have a lot of hair). I grew up on an island, so I’ve used this my whole life and still do during the summer months since I’ve lived in the states. Some others that are wonderful are Neutrogena Triple Moisture and Macadamia Natural Oil Deep Repair Mask. I like mix some of my favorite conditioner with water inside of a spray bottle. You can find spray bottles at the dollar store, or even at Target for less than a dollar (the Target ones are super cute!). Whenever I know I’m going to be outside in the sun a lot, I spray some of this on my hair. During the summer months, this works better for me than any leave in conditioner in a bottle ever has. You want to find something that deeply hydrates and restores the skin. I like to use anything from the Lubriderm line, but the one on my shelf right now is Lubriderm Advanced Therapy Lotion. I also use a body butter at night. I keep it on my night-stand so I can apply it to my legs, feet, hands, and forearms before going to bed. This is a total personal preference. You may want to make your own natural sunscreen or you may not have any issues purchasing one at the store. Personally, I just pick one up at the store. The important part is to know what you need your sunblock to do. You might want to check out this article which explains the differences between UVA and UVB rays. This should help you pick the best sunblock that works for you and your family. For the face, I like to use Neutrogena Sport Face Oil-Free (I somehow still tend to break out in my 30’s…seriously though, wasn’t this supposed to stop by now?). It’s the only face sunscreen I’ve used that doesn’t cause my face to break out. I use this year round. It happens. You put sunblock on every few hours while you’re out in the sun, and yet you still get home sunburned. When this happens, I like to use Aloe Vera Gel. Growing up and for most of my adult life we had a plant growing in our yard so we just used it straight from the plant. But we no longer live on an island so we have to find ours at a health-food store. I highly suggest you get Organic Aloe Vera Gel vs the ones you find on the shelf in all the stores. If you see that it contains alcohol, put it back on the shelf and run. Just imagine putting alcohol on sun-burnt skin… Ouch. Maxi Dress – easy to put on and you can dress it up with a belt and some cute jewelry. Skirt – I usually have two summer skirts. A white one and a dark colored one. This way I have something to go with most of my tops. Flip Flops – self-explanatory, eh? Target brings some really cute ones in a variety of colors. Sandals – after I’ve been out in the sun or at the pool all day, I really don’t feel like putting shoes on. I always keep two pairs of sandals (if not more…ahem). Much like with the skirts, I like to have a white pair and a dark pare (usually black). Target is my favorite place to go for these too. 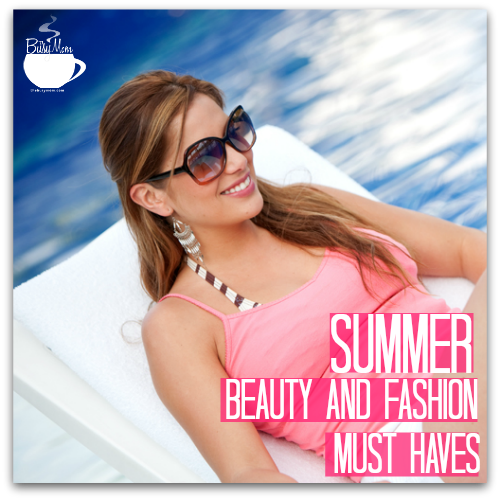 When summer is full force, what are some of your beauty and fashion must haves? Let me know in the comments below!